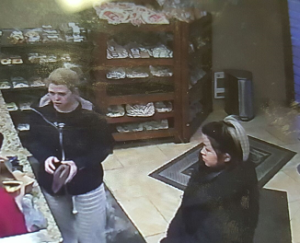 The Ottawa Police Service East Criminal Investigations Unit and Crime Stoppers are seeking the public’s assistance in identifying two suspects involved in a theft of a cell phone. On the 11th of January 2018, at approximately 3:30pm, the victim was paying for items at a food establishment located on Lorry Greenberg Dr. 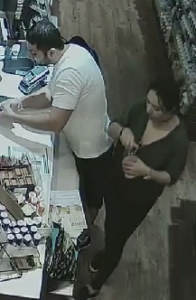 They had set down their cell phone and other items on the counter. The two unknown suspects took the items and left the scene. 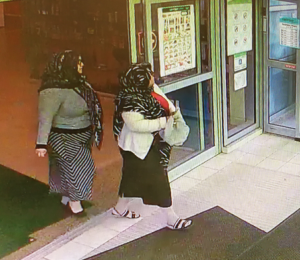 (Ottawa) — The Ottawa Police Organized Fraud Unit is investigating a Theft and use of a client bank card. On October 7, 2017, a male victim in his 80’s attended a Kanata area bank ATM and conducted transactions. As the victim was conducted his banking, a male suspect ‘shoulder surfed’ (looking over the cardholder’s shoulder while the Personal Identification Number was being entered) the victim’s PIN. As the transaction was completed, the same suspect distracted the victim and stole his bank card. The victim was made to believe that his bank card was seized by the ATM; and the suspect used an adjacent ATM and withdrew a large sum from the victim’s account. 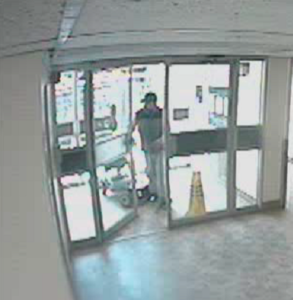 Anyone with information about the male suspect is asked to contact the Ottawa Police at 613-236-1222, ext. 7300. Anonymous tips can be submitted by calling Crime Stoppers toll-free at 1-800-222-8477 or by downloading the Ottawa Police app. 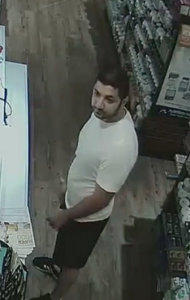 The Ottawa Police Service West Criminal Investigations unit and Crime Stoppers are seeking the public’s assistance in identifying a male suspect for theft and use of stolen credit cards. Dec 31, 2017 the suspect stole a wallet from a vehicle on Ramsgrange Street and subsequently used the victim’s credit cards to make purchases at business on Strandherd Drive. 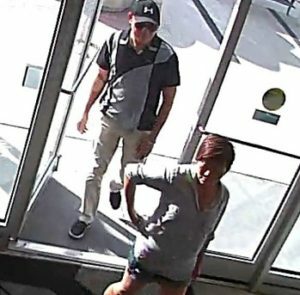 The Ottawa Police Service East Criminal Investigations Unit and Crime Stoppers are seeking the public’s assistance in identifying two suspects, one male and one female, in the use of stolen bank cards. In the overnight hours of October 4th 2017, a wallet was stolen from the victim’s vehicle. During the night, the suspects used the stolen debit and credit cards to make multiple purchases on Bank St and Prince of Wales Dr. During one transaction, the male suspect committed a theft from the store as well. 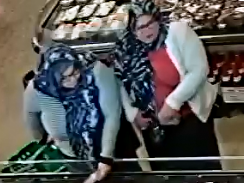 The Ottawa Police Service East Criminal Investigations Unit and Crime Stoppers are seeking the public’s assistance in identifying two female suspects in the theft of a wallet. On the 22nd of October 2017, at approximately 1230pm, the victim attended a commercial business located in the 200 block of Hunt Club Rd. After being there for around 5 minutes, the victim noticed that their wallet was missing from their bag. 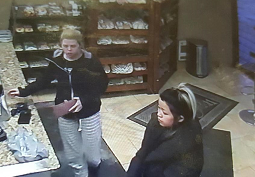 Upon reviewing surveillance footage, it was discovered that the wallet was taken by 2 female suspects. Please see photos below provided by the investigator. 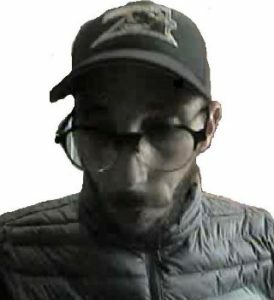 Ottawa Police East Criminal Investigations Unit and Crime Stoppers are seeking the public’s help in identifying a male responsible for the theft of a mobility chair. On the 19th of June 2017, an unknown male stole a mobility chair from a parking spot in the 2100 block of Russell Rd. The mobility chair is necessary to perform daily duties. It’s is grey in colour. Please see the photo below provided by investigators. 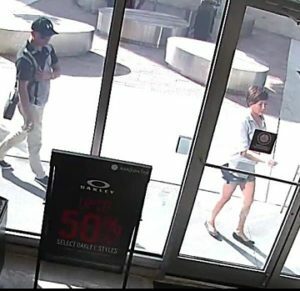 Ottawa Police East Criminal Investigations Unit and Crime Stoppers are seeking the public’s help in identifying a male and female responsible for a quick change scam. On the 3rd of August 2017 a male and female made a purchase at a business located at 2277 Riverside Dr. While making the purchase the male asked questions while the female caused a slight distraction. 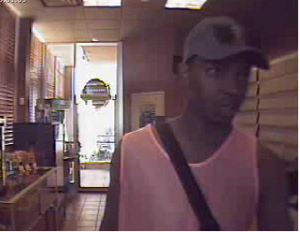 The subject male then removed a quantity of cash from the til and left the location. If you know the identity of the individuals call the Ottawa Police Service East Criminal Investigations Unit (613) 236-1222 Ext 3415 or Crime Stoppers toll-free at 1-800-222-8477 (TIPS). Remember Crime Stoppers does not subscribe to call display, we will not ask your name or record your call and you are not required to testify in court. If your information leads to their identity, you could qualify for a cash reward of up to $2000. You can follow us on Facebook, YouTube and Twitter. 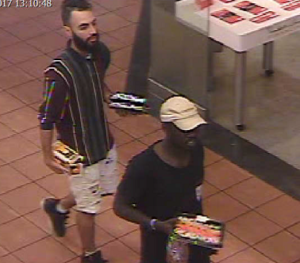 The Ottawa Police Service West Criminal Investigations Unit and Crime Stoppers are seeking the public’s assistance in identifying three male suspects involved in a theft on Baseline Rd. On the 15th of July 2017, three males were in a commercial business located in the 1900 block of Baseline Rd. They selected items and walked past the cashes. They were confronted by an employee but left the scene. Please see the pictures below provided by investigators. If you know the identity of the individuals call the Ottawa Police Service West Criminal Investigations Unit (613) 236-1222 Ext 2666 or Crime Stoppers toll-free at 1-800-222-8477 (TIPS). Remember Crime Stoppers does not subscribe to call display, we will not ask your name or record your call and you are not required to testify in court. If your information leads to their identity, you could qualify for a cash reward of up to $2000. You can follow us on Facebook, YouTube and Twitter. 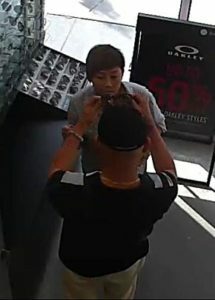 Ottawa Police West Criminal Investigations Unit and Crime Stoppers are seeking the public’s help in identifying two suspects in thefts of sunglasses. On the 2nd of July 2017, an unidentified male and female suspect entered a business located in the 8000 block of Campeau Dr. They proceeded to try on and select several pairs of sunglasses in the high fashion section. Working together to block the employees’ view, they proceeded to conceal the sunglasses in a bag and leave the store with over $1,000 worth.